Comfortable, firm, durable, and fit securely. Excellent traction for wearing outdoors. Features open toe, rubber sole, and cushioned contoured footbed. Available in different sizes and color combo. The piece that goes between the toes is a little hard and irritating. This is the summary of consumer reviews for Teva Men's Pajaro Flip-Flop. The BoolPool rating for this product is Excellent, with 4.60 stars, and the price range is $37.50-$55.00. 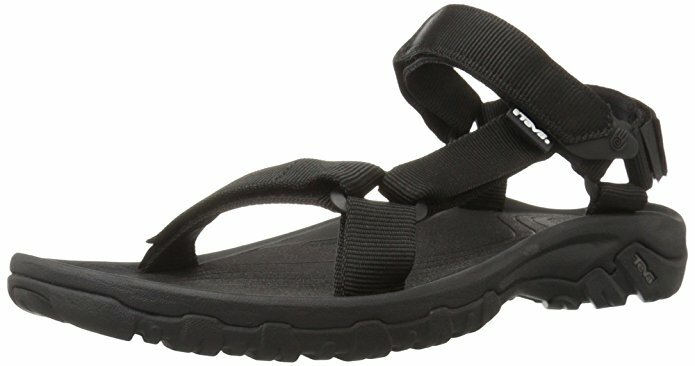 Teva Men's Pajaro Flip-Flop has great arch support, cushioned contoured footbed, and excellent traction for wearing outdoors. They are comfortable, firm, durable, and fit securely. Available in different sizes and color combo. 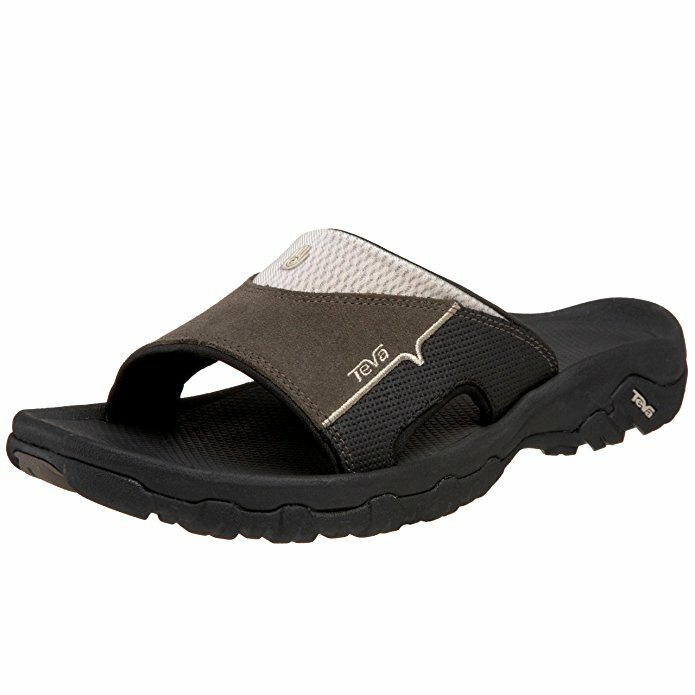 Users love Teva Men's Pajaro Flip-Flop for the look and comfort. They give more support than a regular flip-flop. The tread on the bottom provides grip while walking. They are well made, sturdy, and look good on the feet. The top foot strap is wide and comfortable. However, a few feel that Teva Men's Pajaro Flip-Flop is heavy and the piece that goes between the toes is hard and irritating. 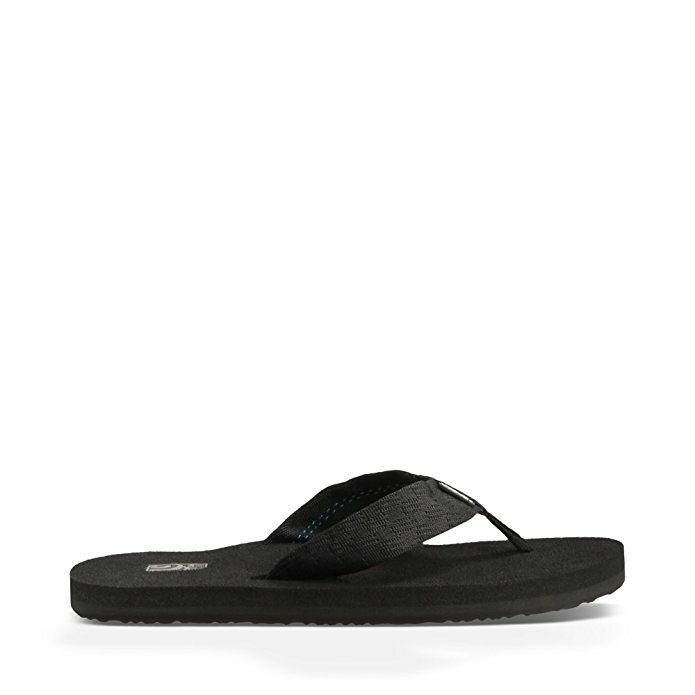 Overall, Teva Men's Pajaro Flip-Flop is comfortable and durable footwear for everyday wear. Little heavy. The piece that goes between the toes is a little hard and irritating. Just wore them for a little bit, toe divider was a little different/weird at first but got comfortable after a couple minutes. Little heavy but I'm used to Crocs. The piece that goes between your toes is a little hard and irritating. I ended up buying a second pair in 10 but they're a little tight. The reviews said they're a bit larger than typical and I'd tend to agree that they're a bit longer but also seem to fit wide feet a little better than my Reefs did in the same size. Teva's used to run a little large - now they seem to run just right, to a little small, depending on which type you get. Mine de-laminated and fell apart after very little use. I decided to get these over the Reef's I'd before since my fat feet were a little snug before my feet compressed the padding down some which made them on to wear. I hiked a little under 6 miles through the forest of a local park in the north east and they held out just fine, best of all so did my feet. Fit securely, excellent traction, and superb cushion. We got the size 7 that fits her size 8.5 - 9 feet. I wear a size 9 and they fit to size unlike the Reef pair I own where you've to buy 1 size higher. They fit true to my sneaker size. They fit exactly how I expect them to fit. These are a terrific "sport" flip flop in that they've a nice secure fit and feel, great traction and superb cushioning. He likes the flip flop. quality and comfort as well as the fit on these is incredible. These would be fabulous all-terrain flips if they came in half sizes for those of us not close to either end of a size. Kinda larger than I expected but prefer it that way so I'd say fit as expected - I'm a size 12 so they're BIG - heavy AND very VERY comfortable. Comfortable and excellent arch support. Very comfortable and great arch support. They're comfortable and provide excellent arch support. I love these for the arch support and shape that makes walking in them so comfortable. Excellent arch support and just the right cushioning. I wear flip flops as much as possible throughout the year; so, I look for good support, comfort, and style. However, they otherwise fit very well, are very comfortable, and seem to have good support, especially in the arch. I find myself wearing these Tevas all the time because they give me the best support, comfort, and look good. I've very high arches and foot pain if my shoes don't have adequate support. I wear a size 10 sandals and ordered the same for this flip flop. I rarely wear shoes in the summer, but wear these instead. I normally wear size 9 and have very wide feet and bought size 10 and they fit fine. I normally wear a 10 1/2, my foot is dead on 10 1/2 inches. Great traction for wearing outdoors. I can wear these all day and walk distances in them with little problem. But I live in AZ and wear them daily year-round so wear & tear is part of that reason. Fit as expected, since I'd a previous pair, but may run a little small, since I like a size 12 in these but would normally wear 11.5 shoe. I normally wear a woman's 10w - I always buy an 8 in men's for flip flops (they're cut wider than womens), these are a bit long. I've had these sandals two months and rarely wear them but the left foot strap is separating from the footpad. Good flip-flop, excellent tread, and comfortable with a nice color combo. The left sandal fit my foot, but the right sandal was too snug to wear comfortably. This's my 5th pair of Teva Sandals. I'd highly recommend this sandal. Sandals were a little damp. Best sandals I've ever owned. These sandals have been my primary footwear after many years of not being able to bear wearing sandals! 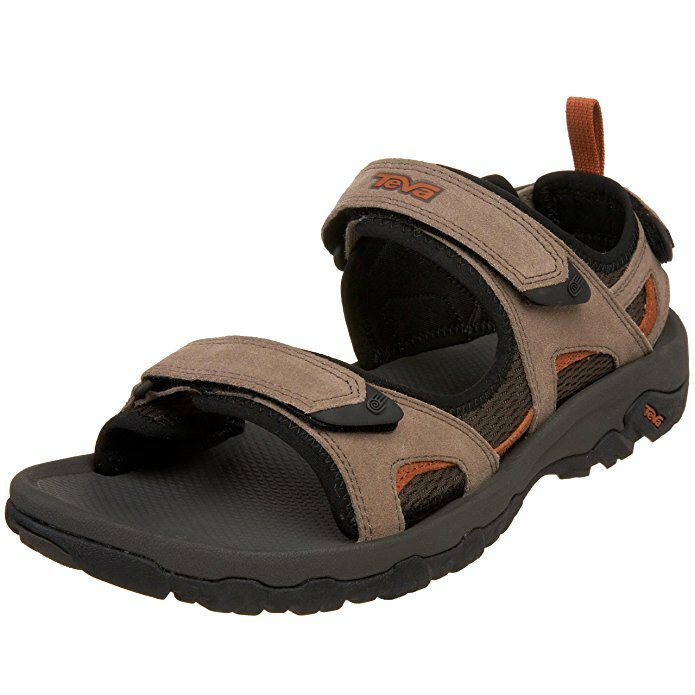 Overall good sandals, nice tread and super comfortable with a nice color combo (Dune). I've worn Birkenstock sandals for over 20 years, so was nervous to try a new sandal. Teva makes shoes and sandals that fit me and the quality is always good. 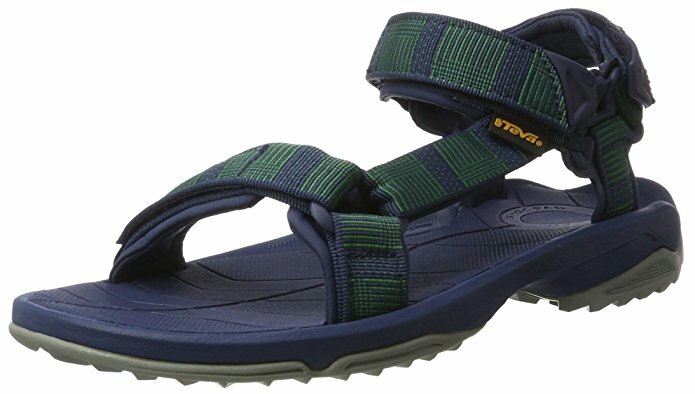 Teva used to make this sandal for women, and when my 10 year old pair finally fell apart, I wanted another pair, but no dice.